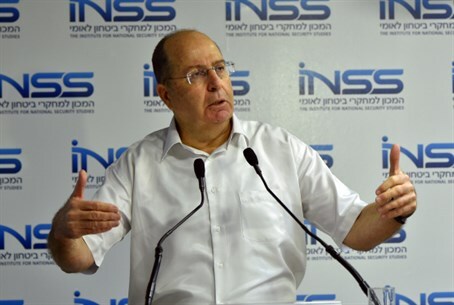 Defense Minister Moshe Ya’alon says the ICC would be better off to investigate the PA's incitement and terrorism against Israel. Defense Minister Moshe Ya’alon said on Saturday night that the International Criminal Court’s (ICC) decision to launch a probe into Israeli “war crimes” against Israelis is “hypocritical”. Writing on Facebook, Ya’alon suggested that the ICC would be better off to investigate the Palestinian Authority’s (PA) incitement and terrorism against Israel. “The decision of the court in the Hague is hypocritical and outrageous, and encourages terrorism rather than fighting it. At a time when terrorist organizations fire towards populated areas in Israel from populated areas in Gaza and elsewhere, and at a time when Islamic terrorism rears its head in Europe and threatens the free world, the Hague chooses a move that has no connection to reality,” he wrote. "Israel and the Israel Defense Forces are dealing with terrorist groups that have no inhibitions, and do so while ensuring moral values and trying as much as possible to prevent harming innocent civilians,” Ya’alon continued. “It would be more appropriate for the court to investigate the Palestinian terror and incitement or the systematic murder of hundreds of thousands of people in the Arab world, and not a democracy that protects itself and has an independent and objective judiciary,” he added. The ICC’s announcement came on Friday, and it followed the PA’s joining of the court earlier this month, allowing it to lodge war crimes and crimes against humanity complaints against Israel as of April. The decision was slammed earlier on Saturday by Prime Minister Binyamin Netanyahu, saying, “Israel rejects the absurd decision of the ICC prosecutor. It’s absurd for the ICC to ignore international law and agreements, under which the Palestinians don't have a state and can only get one through direct negotiations with Israel." The United States criticized the ICC decision on Friday, saying it opposed actions against Israel at the ICC as "counterproductive to the cause of peace." "It is a tragic irony that Israel, which has withstood thousands of terrorist rockets fired at its civilians and its neighborhoods, is now being scrutinized by the ICC," State Department spokesman Jeff Rathke said in a statement.